Search Boost is a highly tuned search solution that radical re-imagine the standard DNN search. It is the best alternative if you want more control over what gets searched, who gets to search, and what results you see. Search Boost comes with great features allowing searching documents, custom data from database, target subsets of the portals and many more. Search Boost can be configured to index documents such as PDFs, WORD Documents from portal directories. 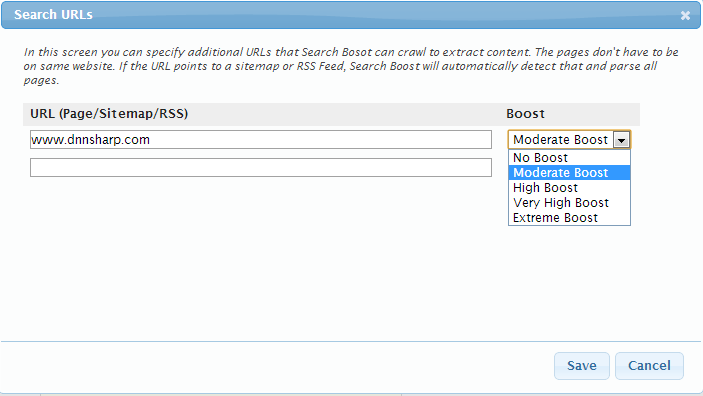 Search Boost can be configured with a list of URLs to index. It also knows to consume URLs that are XML Sitemaps or RSS feeds and index all web pages they contain. What can Search Boost do for you? The list below is not meant to be exhaustive, there are lots of more applicabilities for Search Boost. 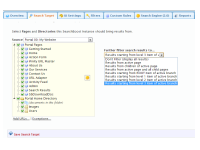 Search Boost can be configured to index documents from portal directories. This is achieved using IFilter interface, so for this to work you need to install IFilter packages from Adobe (for PDFs) and Micrsosoft (for Word Documents). 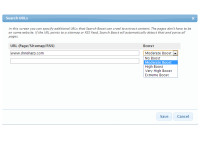 Search Boost can be configured with a list of URLs to index. It also knows to consume URLs that are XML Sitemaps or RSS feeds and index all web pages they contain. This is very powerful feature to displayed unified results from multiple sources. 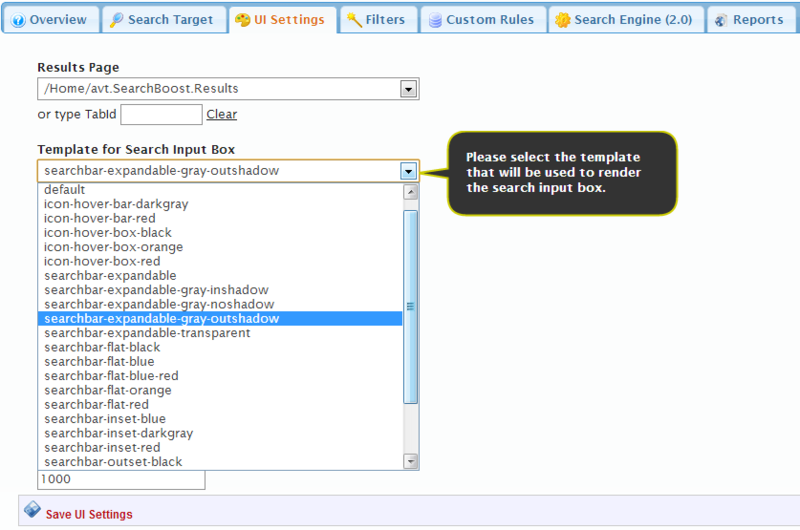 Search Boost comes with 20 templates for the input box and 2 for the search results. The templates are based on XSL transformation and CSS files which makes it very powerful to create your own that can be as simple as changing a few styles from a pre-built template or define a whole new html structure by creating new XSL template. Search Boost has a number of options that allow boosting certain results. Not all results are created equal, boosting basically lets portal administrators control which results should rank higher based on last modified date, their type or where the terms appears inside the result. Defining modules/tabs/portals to search is as easy as navigating a tree and checking in appropriate items. § There are modules that implement ISearchable, but they don't offer a built-in search input. To get around this limitation, add a SearchBoost module to the page, open the Settings window and select the module you want this specific instance to search into. § Sometimes searches need to be restricted to sections that are made up of multiplied modules from different tabs. For example: search manuals, search products, search services, etc. To accomplish this, simply instantiate a SearchBoost module, open the Settings window and select all the modules/tabs/portals that fall under that specific section. § There are DNN installations that serve as hosting for multiple businesses of the same kind. For example, some sites sell hosting to restaurants and offer related functionalities. In this scenario, most likely there's a central portal that is like a directory. How cool would it be to search inside all the restaurants hosted on that server? Or maybe only certain restaurants based on cuisine? SearchBoost can accomplish this. 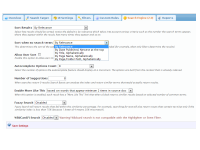 ISearchable is the interface required by DotNetNuke in order to be able to index content. There are modules out there that don't implement this interface, so they can't be searched. 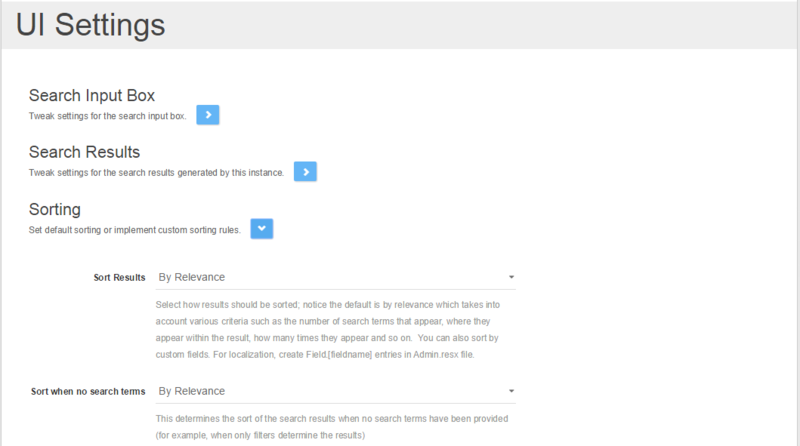 SearchBoost fixes this by allowing you to define rules for indexing tables in the database that are behind that module. You can define search criteria to expand to any number of portals (or tabs and modules from different portals). Note that to maintain security, you can only accomplish this when logged in as Super User. In some cases, there is a main portal and lots of child portals that need to be searched from the main portal. This is when SearchBoost comes into play, you can define search targets across multiple portals and also display a dropdown with portals so users can filter search results to what they're interested in. 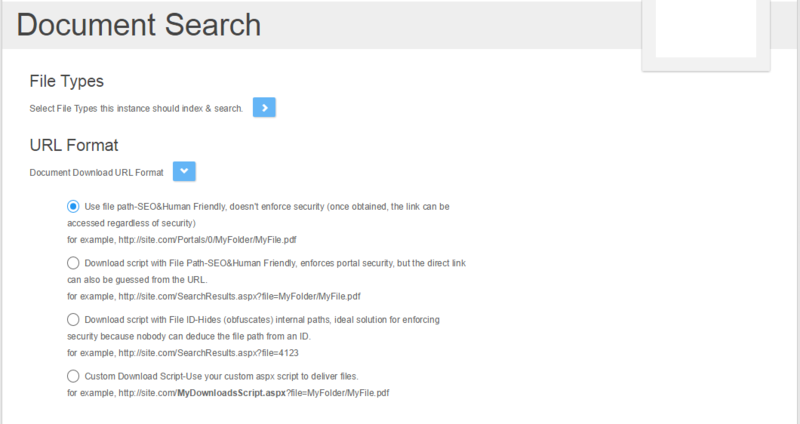 Search Boost can index files (PDFs, WORD Documents, etc). Some formats require IFilter packages to be installed. 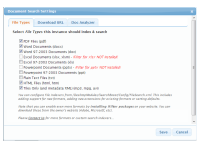 Download and install this extension to enable searching PDF files when the PDF IFilter is not installed or not working properly. Search Boost comes with own search engine that replaces DNN in order to bring more power and scalability to the search solution. The provider is based on the popular Lucene library. 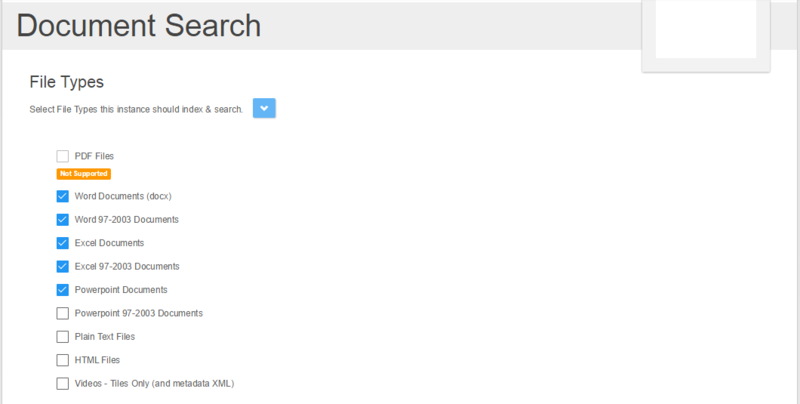 Search Boost can index portal modules using the ISearchable interface which is how the standard search works. SearchBoost allows indexing of any table in the database. Setup is made simple with wizard approach. If the Published Date and Is Deleted columns are set, then Search Boost will use them to only index content that was added/updated/deleted since last indexing. Search Items such as documents or database content can be linked to categories. Search Boost knows to extract the category list for current result set and allows users to filter down results to the category they're interested in. Search Boost has options to control how results should be boosted (made more relevant) based on their type, their last modified date and where the terms appear. Search Boost provides a simple API to write your own plugins to provide content from other sources not supported by default. This way you get unified search results plus the tons of features that Search Boost provides. When search terms don't generate any results, Search Boost checks the terms for similar words and builds a list of suggestions. 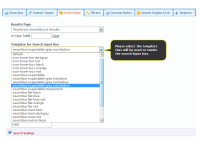 SearchBoost can display a dropdown with all or several of the portals in current installation that users change to better target their searches. Search Boost can display a link for each search result that when clicked will show results that are similar to the original - this usually means results that have many of the words of the original result. Search Boost can be configured to show suggestions box as users start typing inside the search input box. The suggestions are based on the content already indexed. Search Boost supports Google syntax to find exact phrase by enclosing the words between double quotes. Further more, Search Boost allows the Phrase Slop to be configured which basically determines how close to each other the words have to be in order to generate results. 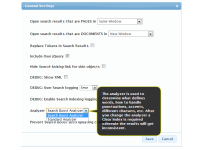 Search Boost can be configured to highlight search terms within results. This means that the description will be generated so it includes as many of the search terms as possible. The highlighter can be configured from the template styles. New IDE editor, SearchBoost Studio, provides an advanced yet simple to use interface to configuring instances and managing custom search rules. Search Boost uses popular NLog library to log 4 levels of entries both during searching and during indexing. Configure Search Boost instances to target any portal in your DNN installation; this option is available only when logged in as a Super User, so security is enforced as expected. Search Boost has a Document Analyzer that runs as a scheduled tasks and determines which documents are new or have been updated and marks them for indexing. 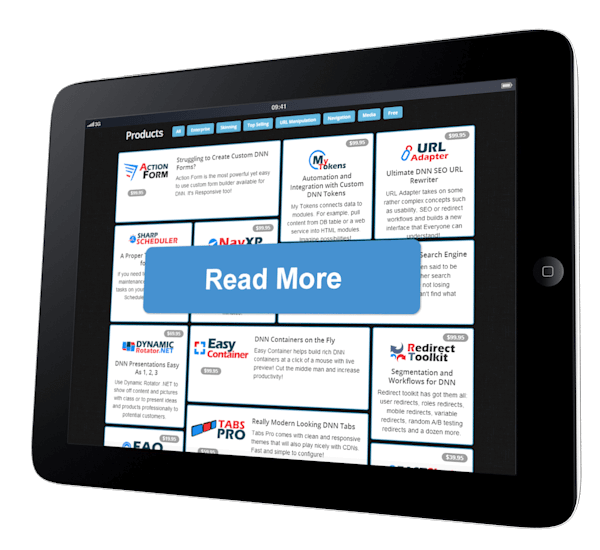 This makes Search Boost a truly scalable search solution. SearchBoost Results module identifies which SearchBoost Input module generated the search, reads its settings and displays results accordingly. SearchBoost uses the DNN Search interfaces therefore all the features of the search provider are preserved when doing searches through Search Boost instances. Search Box and Search Results are XSL based templates that allow full control on appearance, defining both structure and appearance through CSS styles. 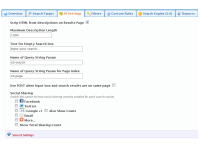 Search Boost comes with 20 pre-built input templates and 2 results templates! Configuration of file indexing is decoupled by Search Boost through configuration files that make it possible to easily support new file formats or update existing ones. If MyTokens is installed, Search Boost will call it to replace tokens in Search Results. You can configure Search Boost Input to run either as a Skin Object declared in site skin or as a module you add to the page just as any other DNN module. HTML Skin Object is also supported. Search Boost works on all major browsers. The code generated by SearchBoost is XHTML transitional compliant.